This writing is an attempt to explain, from a cultural point of view, why Democracy is not a World Universal “thing”. Democratic elections in Pakistan, Russia, Afghanistan, Burma? The list is far from complete. In the western world we seem to be obsessed by spreading our Democracy. We deploi peace missions and other diplomatic initiatives to spread our Western contemporary “religion“. My point here is, that that will not work. Here’s why not. Without trying to come up with a suitable definition or one pulled from Wikipedia, I’d like to keep it simple and view Democracy from a Cultural point of view. In actual fact, Democracy boils down to this: The ability/possibility for One man to cast his/her One vote. In addition what is important here is that this One man, is not coerced, forced or otherwise manipulated by anyone else in determining his/her One vote (in the broader sense of the word this is called Vote Rigging). So fundamentally our (view and practice of) Western Democracy hinges on Individuals voting for themselves. This word “Individuals” is important here. It emphasises, again, One man, One vote. Prof. Hofstede came up with 5 dimensions defining national culture (describing general trends in societies). One of these dimensions is called Individualism (the others are Power-distance, Masculinity and Uncertainty avoidance). This Individualism is crucial into making (Western) Democracy work. Because Hofstede’s dimension Individualism answers the question: “to whom are you loyal?”. On the two extremes of this dimension there are two answers possible: “my loyalty lies with me first” (= highly Individualistic) versus “my loyalty lies with the group first” (called Collectivistic). I do need to stress that individuals in Collectivistic societies do have an opinion of their own. It is just secondary to the opinion that the group holds. High scoring cultures on the dimension Individualism use/have a Democracy that the Western world is trying to spread so bad. Examples of high scoring Individualistic cultures are: North America, Australia, New Zealand, Western Europe. That’s it! And… that’s all! All other countries in the World (!) are Collectivistic (with a score of less then 50 on Hofstede’s dimension). This means that, to the majority of the world (about 80%), the Western concept of Democracy does not mean the same thing as in the minority of the world (the self proclaimed “first world”). In collectivistic societies people are loyal to their group, more then to themselves. This means (in short) that One man, One vote, translates into “I’ll vote for the One my peers (in-group) votes for“. There is nothing good or bad about either Individualism nor Collectivism. It is just different. The danger lies in the fact that the Western world thinks it can take the blue-print of its own Democracy and simply spread (or better force) it around other parts of the world. More often than not, much to the resentment of the local population. To summarize: Democracy in Iraq is an illusion. It always will be. Don’t forget, Mr. Churchill was British, one of the most Individualistic countries in the World. 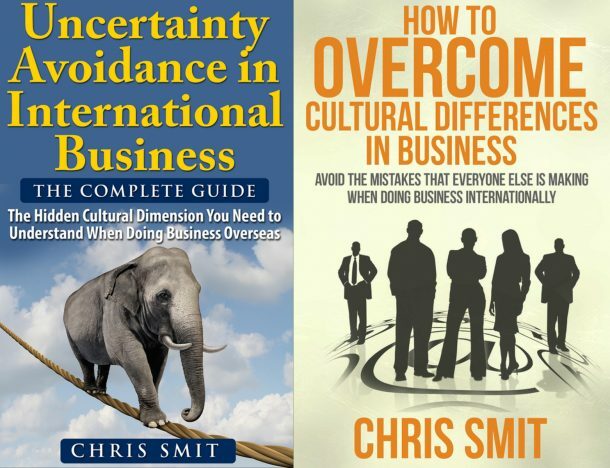 Interested in getting a whole Cultural Awareness Training in one ebook for only $14,99? Click here now to find out more! Very interesting subject. Looking at today’s situation in Europe, can we say that our democracy really has worked out well ? My personal take on this is that what ever Political “system” a country has works. Otherwise it would be different. That is not an easy way out, but really how I think it is. Our European Democracy has worked out for us. However the “uniting” of different Democracies in one Union (the European Union) has not worked out that well. We see the friction coming up more so when there is an economic crisis. When things run smooth there are few pressing issue’s. The reason why the friction is there (again, from a cultural point of view) is that Western Democracy hinges on Individualism. A few countries are collectivisitc (Greece, Portugal, South Italy, Spain (to some extend)). The rest is Individualistic. The other main disagreements in the EU come form the fact that there are countries that score high on Powerdistance (e.g. France) while others score low (e.g. Netherlands & Germany).